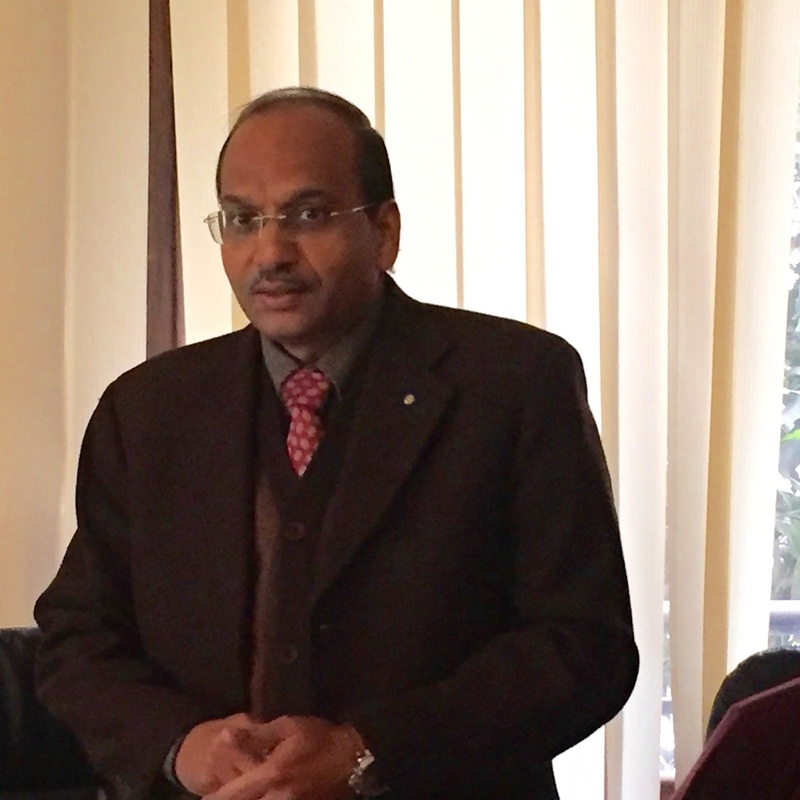 Our first stop this morning was at the PolioPlus office in Delhi, for a briefing from Lokesh Gupta, the Manager of the RI India National PolioPlus Committee, and to pick up our NID volunteer packages for the National Immunization day beginning on 29 January. Lokesh Gupta gave a very informative PolioPlus briefing to the group. 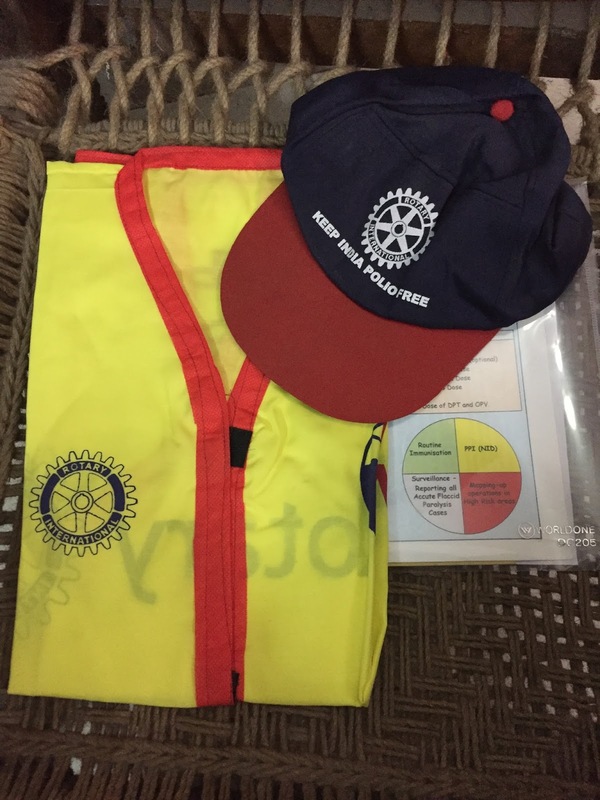 Our Vests, caps, and other materials for the NID. 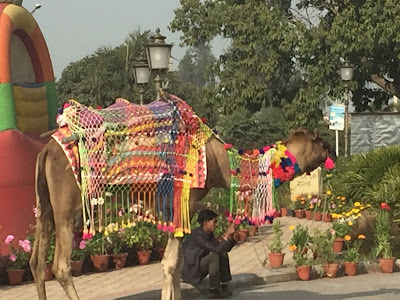 Having sat through the briefing this morning, and heard reactions from some of my team members, I realize the average person just hasn't realized the depth and breadth of PolioPlus just here in India, much less multiplying this effort times all of the other countries in the world where NIDs occur. Rotarians, since the beginning of this project in 1985, have contributed over US$1.5 Billion to this project. Beyond our own money, we have helped raise another +US$8.5 Billion from donor governments around the world. Additionally, the Bill & Melinda Gates Foundation has contributed US$4 Billion in matching donations to our Rotary giving. 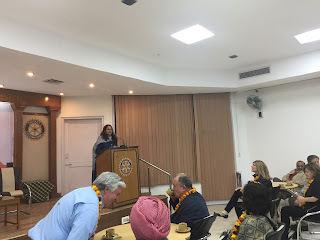 In India alone, Rotarians here have given more than US$198 million. Just five years ago, in 2011, there were 650 cases of polio, in 17 endemic countries. In 2016, there were 35 cases of polio, in 3 endemic countries. -6.3 million frozen ice packs to go into the 3 million vaccine carrier bags to be carried around the country. -209 million homes will be visited. -172 million children will be vaccinated. The rest of the day has entailed bus travel to Chandigarh, which ended up being nearly six hours due to unforeseen traffic. 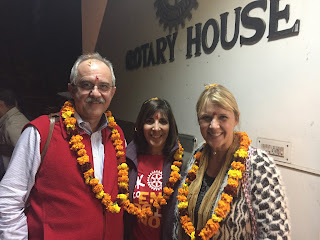 We were met by a wonderful group of Rotarians for the beginning of our homestay Friendship Exchange. 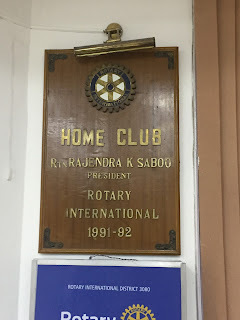 The Rotary Club of Changragarh is the home club of Past Rotary International President Raja Saboo. We received tikka (tilak) from the club members, along with a garland (lei)! Brief club meeting and introductions to our hosts.